Selangor, Malaysia, Dec 23, 2014 - (ACN Newswire) - Microalgae are photosynthetic microorganisms that produce high value compounds considered essential for human health, including polyunsatured fatty acids (e.g., omega-3s like EPA and DHA), various pigments (chlorophyll and carotenoids), and vitamins. Although fish have traditionally been our principal dietary source of EPA and DHA, declining marine fish stocks, the unpleasant odour of fish oil, and other disadvantages, have prompted a search for alternative sources of these nutrients. In a recent study, published in the Pertanika Journal of Tropical Agricultural Science, S. P. Loh and S. Lee of the Universiti Putra Malaysia evaluated various methods for extracting fatty acids and carotenoids from two microalgae species: Chaetoceros gracillis, a diatom, and Nannochloropsis occulata, a unicellular green alga. Both species play an important role in the food chain, while N. occulata is also widely cultivated for fish hatcheries and shrimp farms. No standard extraction methods currently exist for determining the fatty acid or carotenoid content of microalgae. Therefore, the researchers selected different extraction methods based on these criteria: maximum extraction efficiency, ease of handling, and use of solvents of low toxicity. Overall, the study found that high amounts of fatty acids and carotenoids could be obtained from both microalgae. However, for both fatty acid and carotenoid extration, one extraction method was superior in N. occulata while another method yielded the best results in C. gracillis. 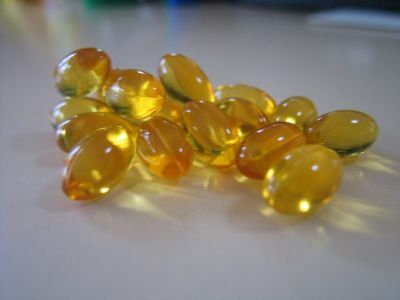 The researchers also found that N. occulata had higher amounts of the omega-3 fatty acid EPA, while C. gracillis was particularly high in palmitic acid and palmitoleic acid levels. In addition, there were significantly higher carotenoid levels in N. occulata compared to C. gracillis.